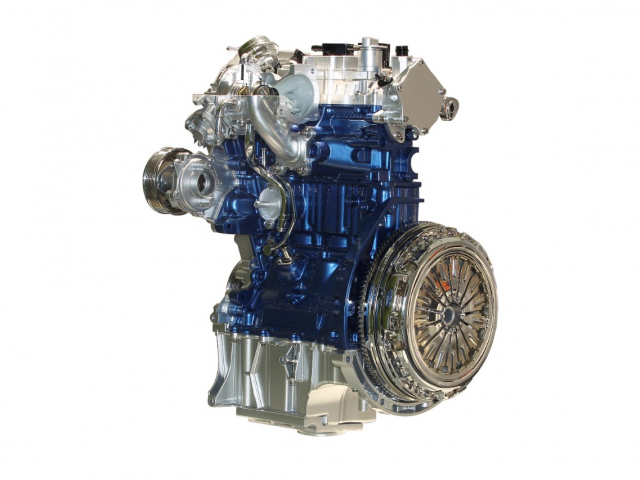 Ford’s 1.0-liter EcoBoost® engine found in the Ford Fiesta has garnered a prestigious 2014 Ward’s 10 Best Engines Award, adding to the growing quiver of accolades for the impressively powerful and remarkably fuel-efficient powerplant. Having already earned multiple honors in Europe – including International Engine of the Year in both 2012 and 2013 – the 1.0-liter EcoBoost is making its U.S. debut in the 2014 Ford Fiesta, on sale now. Ford Fiesta SFE equipped with the 1.0-liter EcoBoost engine is America’s most fuel-efficient non-hybrid, gasoline-powered car with an EPA-estimated rating of 45 mpg on the highway, topping Honda Fit by 12 mpg and Toyota Yaris by 8 mpg.